When Brooklyn's rustiest building, the Barclays Center, hosted a Swedish House Mafia concert last year, the noise incurred the wrath of neighbors and a hefty $3,200 fine. Now, Barclays is installing a grassy roof on its "bald spot" in an attempt to dampen bass that regularly seeps into the neighborhood—though, like the sheepish owner of a toupee, it's denying it has a problem. 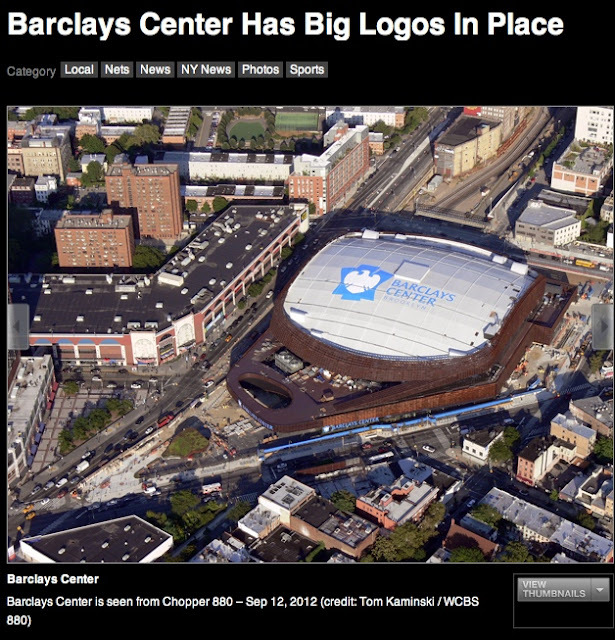 The roof will cover 130,000 square feet of roof in a thin soil layer topped by greenery—of a genus yet to be determined—in a resurrection of a plan first proposed in 2003, when Barclays Center's developers were fighting for community approval. Back then, as the Wall Street Journal notes, the roof was actually a selling point; it was designed to be a large public park and garden for the neighborhood. After the project ran into financial trouble, the park plan was axed. Why bring it back now? 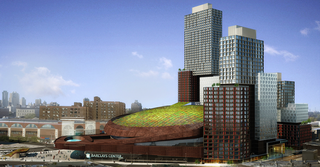 Forest City says it has to do with the long-delayed towers around the arena finally kicking into gear: "We wanted to do the amenity for the benefits to the community and the residents that this green roof will bring, rather than having that traditional arena roof," a rep tells the WSJ. But according to the Atlantic Yards Report, the decision has way more to do with the noise complaints than the community. Calls reportedly pour in during every event at the center, and with luxury towers rising around its crown, they're likely going to multiply. In fact, Forest City installed more acoustic insulation inside the building this winter.